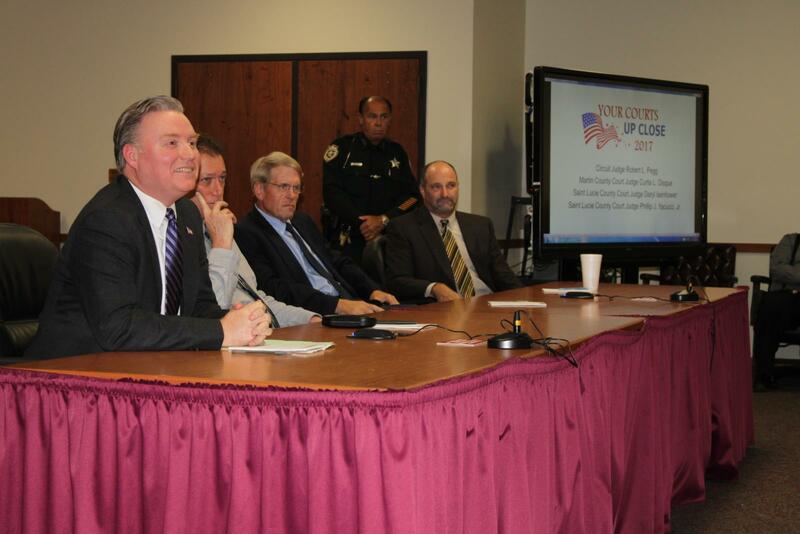 On March 14, 2017, the Your Courts Up Close program for 2017 concluded at the St. Lucie County Courthouse in Fort Pierce. For the final evening, participants were seated in one of the courtrooms used for criminal proceedings. In addition to the seats in the gallery, some participants were asked to sit in certain seats throughout the courtroom that they may not previously have had the opportunity – the clerks station, witness stand, attorney tables, jury box, and even the judge’s seat. Judge Daryl Isenhower let the participants know about the role of those participants in court and answered questions from the participants. 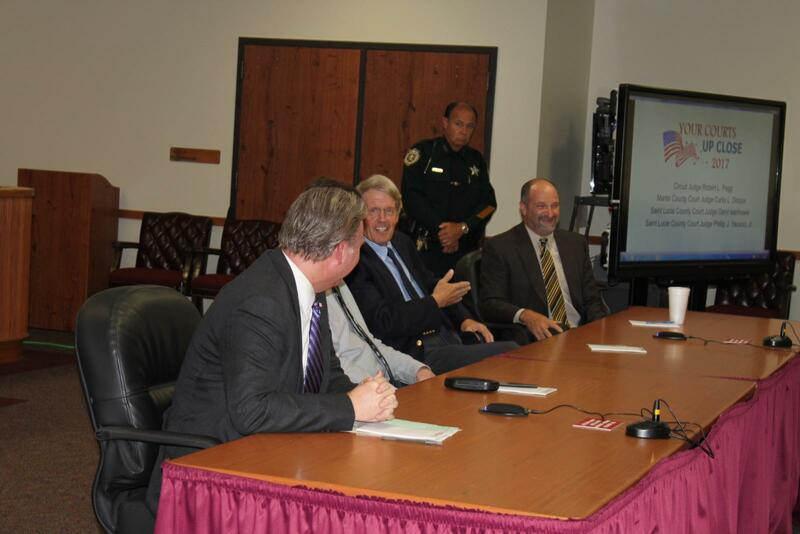 The second half of the evening involved a panel discussion with Circuit Court Judge Robert L. Pegg, Martin County Court Judge Curtis L. Disque, St. Lucie County Court Judge Daryl J. Isenhower, and St. Lucie County Court Judge Philip J. Yacucci, Jr. 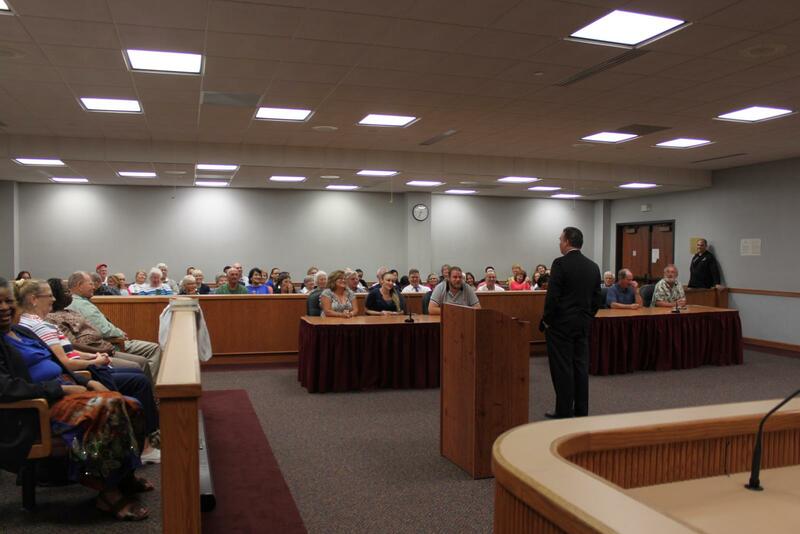 Participants asked the Judges questions about various topics, including small claims court, probate court, juveniles in court proceedings, as well as people with mental health issues in court proceedings, among other topics. At the conclusion of the evening, participants who had attended at least three evenings of the Your Courts Up Close received certificates. 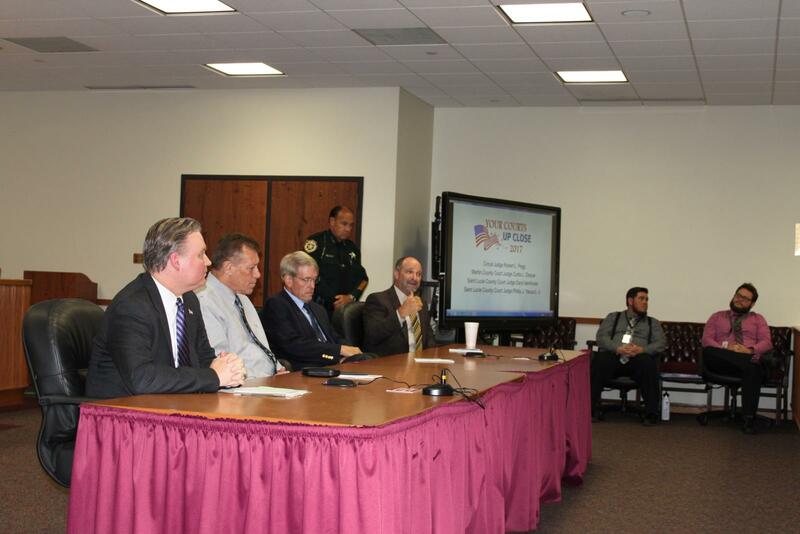 On behalf of the 19th Judicial Circuit, we would like to extend our sincere appreciation to everyone who attended the program, as well as everyone who assisted with the program, including all of the speakers from each evening, the St. Lucie County Clerk of Courts Office, the St. Lucie County Sheriff’s Department, and the Court Technology Department of Court Administration. Without each of you, this program could not have been the success that it was. Planning has already started for Your Courts Up Close 2018 – we hope to see you there!